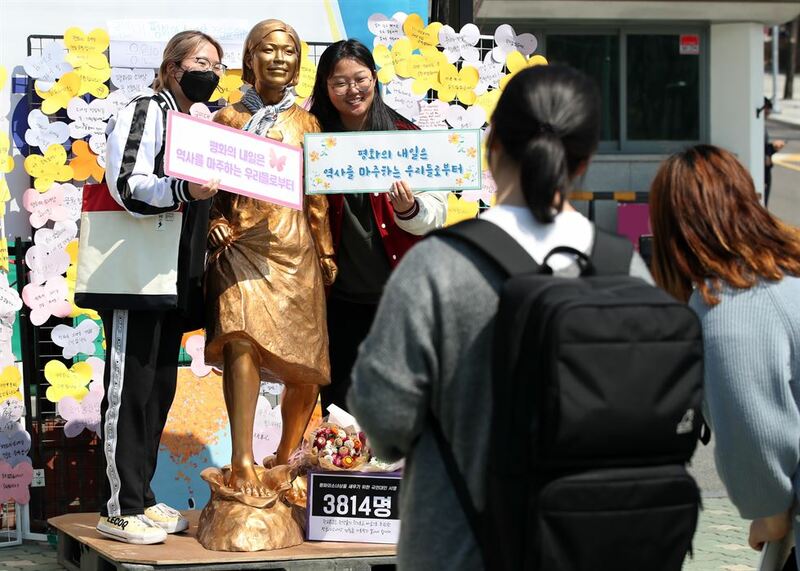 A handcrafted "comfort women" statue symbolizing Korean women forced into sexual slavery for Japanese troops during World War II was unveiled at the front gate of Kookmin University in Seoul, Thursday. Thousands of students funded the project, hoping the statue would stand on the campus to boost public awareness of the wartime crime. But school authorities have blocked it, calling the statue a "political campaign." The students' association initiated the statue-making project in April last year, in a show of displeasure over Japan's refusal to apologize for its wartime brothels.